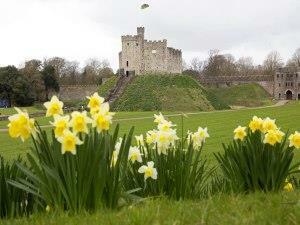 Cardiff’s finest music and street food event returns to Cardiff Castle for it’s third year. Following on from an amazing 2018, CLEAN BANDIT and TOM ODELL are set to headline what is becoming Cardiff’s definitive summer festival. Set in the stunning location of Cardiff Castle, DEPOT IN THE CASTLE, is a family friendly event which will include a host of all day music and activities. This year promises another delicious line up of street food featuring local Welsh street food talent and new traders from across the bridge. Prices: Adult 2nd Release Ticket £41.50, Teenagers (12 - 17) £23.90, Under 12s £12.00, Family (2 Adults + 2 12-17 year olds) £110.25.